If appropriate measures are not taken, nearly 8.9 million people, including 4.5 million in Nigeria, could be affected by June-August 2019. Some 500 000 people could be in urgent need. 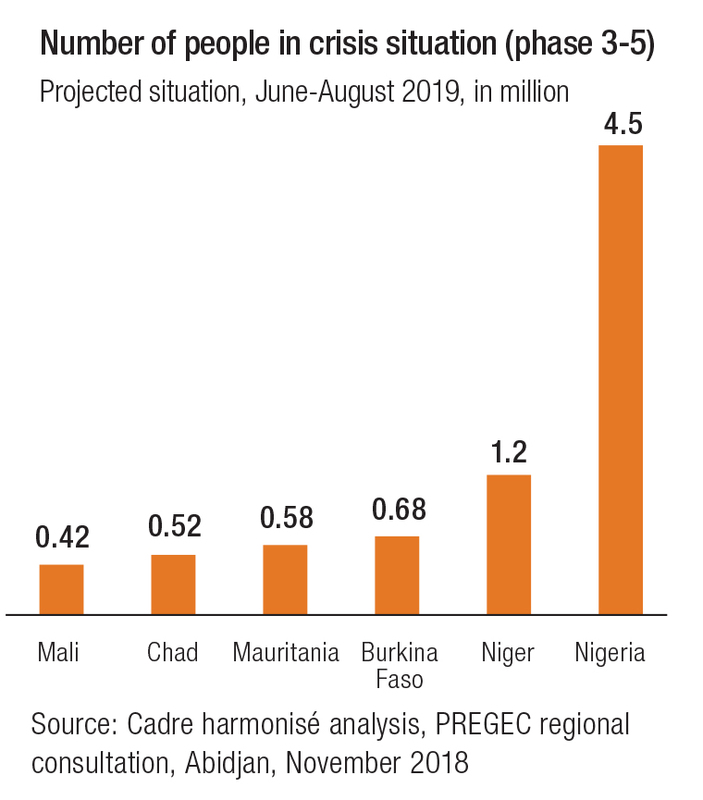 The food situation is also of serious concern in Niger where the number of food insecure people is likely to double from 600 000 people (phases 3-5) to 1.2 million people in need of urgent assistance (5% of Niger’s population). The number of food insecure people in other Sahelian countries has been reduced compared to previous years, but many areas still need timely and targeted support to help vulnerable populations.